Our large museum-quality prints can be part of your home, office, or public place decor. 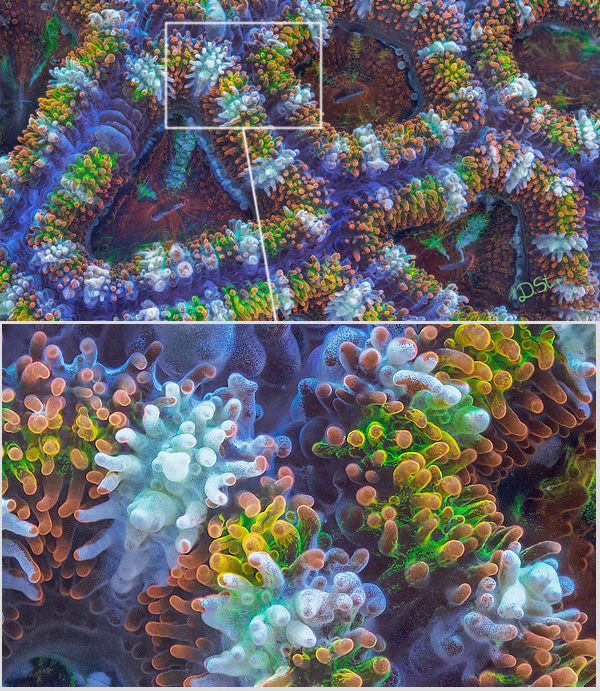 Due to focus stacking and image stitching techniques the amount of detail is tremendous, which captivates viewers and lets them stay immersed in the colourful and bizarre world of microscopic landscapes. The images have better impact at the largest sizes of up to 60x40 inch for a single print, or even larger wall clusters. Our signed and numbered limited edition prints made into private and public collections worldwide and are offered from the website as well as well. Please contact us to discuss your individual needs to facilitate the selection process. Some of the options are explained below. The prints can be shipped to any country in the world. The orders from this website are printed in a US-based photo lab or, upon request, in UK and Australia. Limited edition prints are either produced and signed in Australia (e.q. exclusive editions), or have a unique digital identifier embedded & clearly specified in the certificate. We encourage international art lovers to contact us before the purchase via our automated system. Worried about making a wrong decision? Smugmug and their partners through which your orders are processed guarantee your satisfaction and allow returns and full refunds within the first 30 days. The print galleries offer numerous images and each photo has a cart button or icon below. Sizes are given in inches, not centimeters. Metal print is a modern way to present a photo on the wall. The dyes are infused directly into thin sheet of metal, and give vibrant, deep colors with distinct popping effect and slight metallic shine. There's no paper involved. A metal print resembles metallic paper under acrylic glass, however it is a lot more scratch resistant, significantly ligther, waterproof, and easily cleanable. Metal prints come with a hanging system and are ready to be placed on the wall. One of the best and economical ways to present a paper-based print is to leave it exposed to the view directly (no glass) and having it professionally mounted on a perfectly flat surface. Thus mounting offers the best viewing experience and preserves the effect created by particular paper type, especially if it's glossy or metallic. You can select mounting options through paper prints and follow the menu directions during checkout process. Take into account that paper is susceptible to fingerprints, UV discoloration, moisture damage, degradation due to corrosive chemicals in the air, and dust. Prints cannot be cleaned or easily restored. That is why in some instances protection is needed (such as glass or protective spray). If you intend to hang the print next to the kitchen, bathrooms, areas exposed to direct sunlight, or you expect them to be touched, become covered with dust, protection is a must. Unprotected print won't conserve its glory for more than 1-3 years in those types of surroundings. Use any of the options available to ensure your prints will last for decades. Take into account that finishes significantly reduce the wow factor of metallic paper, particularly the satin finish. Satin finish also eliminates glare. Simple protective coating is recommended for metallic paper. Framing is what used to be a traditional (and pricey) way of presenting a print: having it inside a frame under a sheet of acrylic glass. Acrylic glass preserves and enhances vibrant colors and delivers realistic 3D-like reflections. We strongly discourage from buying regular cheap glass frames that simply destroy the whole point of having a top quality art print. The website offers numerous types of acrylic frames, including stylish metal ones. If you add a mat, you will create additional space between the frame and the print. Acrylic windows (frameless glass) can be discussed individually. 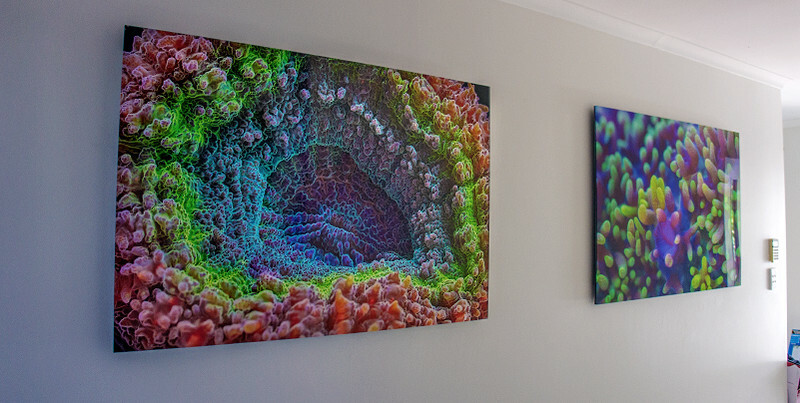 Photo gifts are perfect souvenirs for marine biolgoists, divers, or simply those who love the reef. Images can be printed on phone covers, mugs, mouse pads, coasters, postcards, magnets, calendars, etc. You can order several types of gifts from our store. All options listed on the website are of the highest quality, thus there's no wrong presentation type. However, you can fit the print into your interiors better if you consider the following advice. If you are considering a paper-based prints, you can chose from luster and metallic paper. Paper type is a personal choice and there's no such thing as a correct or best one. Metallic paper presents rich, deep, and vibrant colours. However it is highly reflective. Luster paper is not reflective, however it does not have the wow factor of the metallic media. Talk to us and we'll tell you what fits your vision. What's the deal of reflective surfaces being popular? Everything that has the best colours, sharpness, and contrast is reflective. If reflections are a major issue, simply ask us a question, and we will give recommendations for art lights. Take into account that unframed/unmounted paper prints offered as an option are meant for those seeking alternative framing options through a professional service or for skilled photographers with mounting experience. If you are looking for ways to save money, opt for mounting following the instructions above. We strongly discourage from buying cheap glass frames from the nearest supermarket. Only look for products from specialized art and photo stores. Framing by yourself without experience is challenging, frustrating, and often results in poor presentation of a bent and unevenly attached sheet of paper. Limited edition images are our most spectacular and complex works that give you the chance to have a rare piece of artwork in possession. We have two categories for limited editions: premium prints and exclusive prints. The later exist only as single reproduction for sale. Exclusive editions come from our address directly, signed by hand, numbered, and with a certificate. Limited editions have at least one artist's proof that will not be sold. 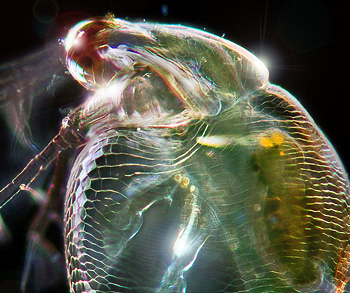 We also offer our images on 3D holograms that utilize three-dimensional data from our camera raw files. Modern technology allows printing realistic holograms with incredible depth and a wide viewing angle. 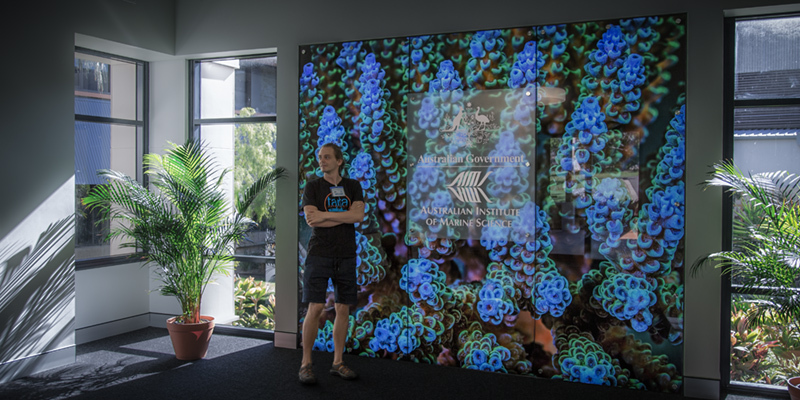 The resulting holograms are as thin as a framed print on a wall, yet they display 3d image without consuming energy.